View the Labels/SDS information for Divanem Insecticide. Divanem® nematicide delivers excellent turf quality through proven, broad-spectrum control of spiral, sting, lance, and root-knot nematodes. The innovative formulation targets nematodes where they are most active to provide turf quality enhancements, improved drought tolerance and quicker recovery from stress. Divanem features a spot treatment rate of 12.2 oz./10,000 ft.2. The rate makes more product available to turf roots and plant tissue, resulting in rapid nematode control and improved turf quality on golf course greens, tees and fairways. The Divanem supplemental label must be in the possession of the user at the time of spot treatment. Existing Divanem inventory may be used at the spot treatment rate as long as the supplemental label is readily available. 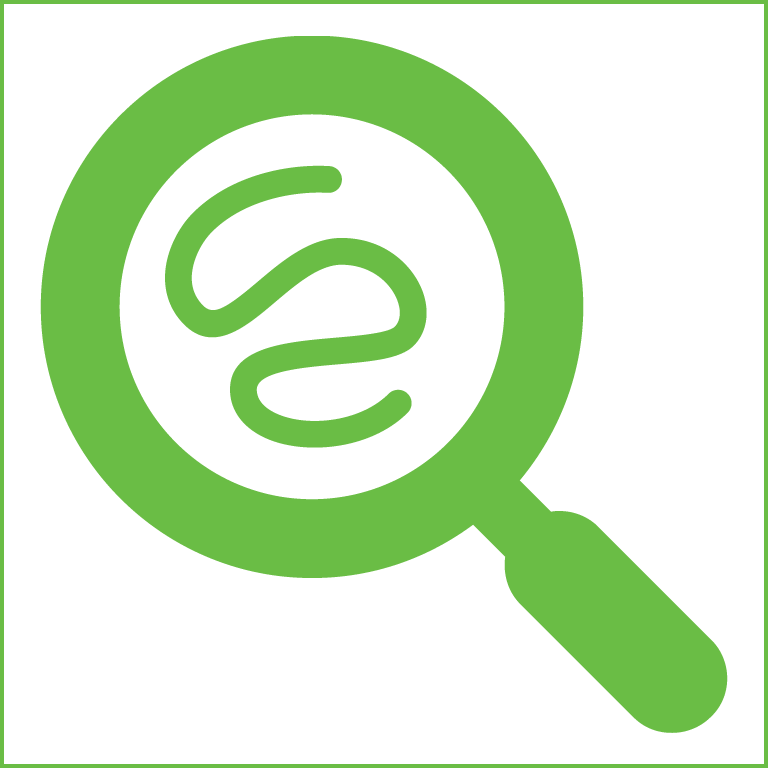 For tips including how to sample for nematodes and where to send soil samples for testing, visit the Nematode Knowledge page. 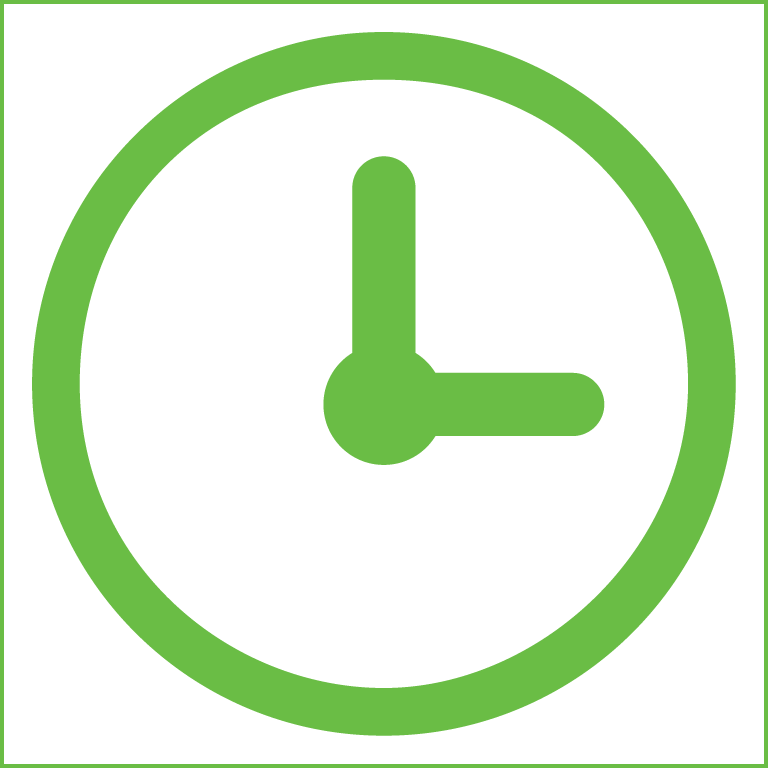 Follow us on Twitter @SyngentaTurf and join the conversation with #Time4Divanem. stronger turf that absorbs water and nutrients more efficiently. Research shows more rapid recovery from mechanical stresses, like aerification, compared to turf not treated with Divanem. Divanem is recommended for use as part of an agronomic program to better manage multiple nematode species and prevent the onset of resistance. When used with a fungicide like Heritage® Action™, Velista® or Posterity®, superintendents can help manage nematodes as well as diseases and abiotic stress. A 0.5 gal. jug of Divanem is available in a Multipak with five 1 lb. jugs of Heritage Action. Divanem helps significantly enhance root mass. Trial held on 'Tifeagle' Bermudagrass Greens at the Fort Lauderdale Country Club in Plantation, Florida. Nematodes present included sting, lance and root-knot. Treatment applied four times on a 28-day interval (June 26, July 27, August 21 and September 30, 2016). Photos taken September 27, 2016. Young, 2016. Divanem helps significantly enhance turf quality. Divanem can help enhance turf quality and root length. Trial held on 'Jones Dwarf' Bermudagrass Green at the University of Florida Plant Science Research & Education Unit in Cintra, Florida. Divanem was applied May 27, June 16, July 7 and July 27, 2017. 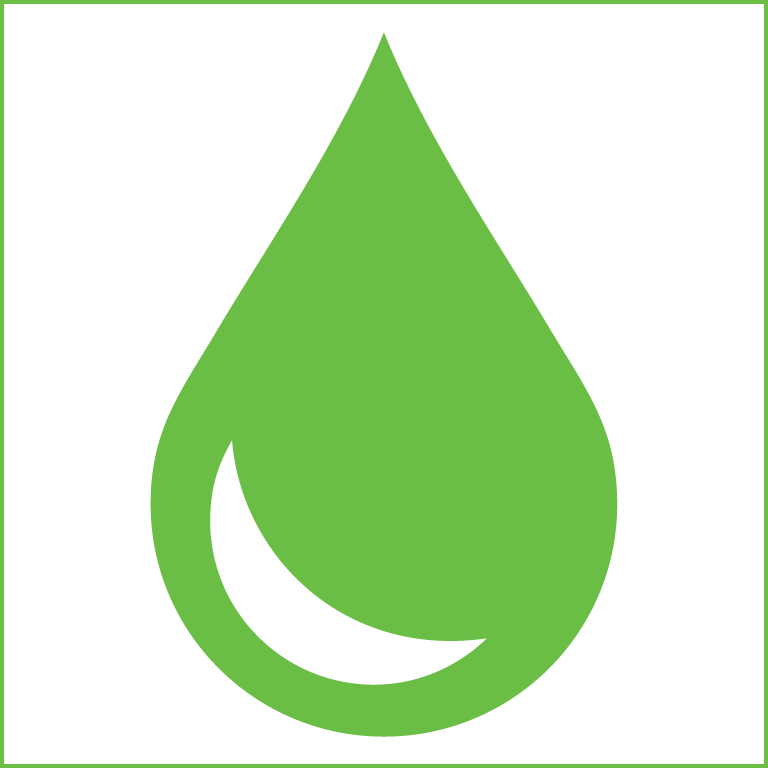 Divanem was tank-mixed with Revolution® soil surfactant (6 fl. oz./1.000 ft.2) and watered-in immediately with 0.25 in. of irrigation. Indemnify® insecticide was applied twice on May 27 and July 7, 2017. Revolution was applied separately to untreated and Indemnify plots. Crow, 2017. Trial held on 'Jones Dwarf' Bermudagrass Green at the University of Florida Plant Science Research & Education Unit in Cintra, Florida. Divanem was applied May 27, June 16, July 7 and July 27, 2017. Divanem was tank-mixed with Revolution (6 fl. oz./1.000 ft.2) and watered-in immediately with 0.25 in. of irrigation. Indemnify was applied twice on May 27 and July 7, 2017. Revolution was applied separately to untreated and Indemnify plots. Crow, 2017. Nematode-damaged roots not only absorb less water, but are also more susceptible to disease. When combined with Heritage Action, Divanem will help improve turf quality and density, as well as root growth and quality, while providing enhanced biotic and abiotic stress tolerance. Crow, University of Florida, 2016. Divanem helps turfgrass recover more quickly from aerification. Treatments applied four times on 14-day interval beginning August 4, 2016. Divanem tank-mixed with a surfactant (6.0 fl. oz./1,000 ft.2) and watered-in immediately with 0.25 in. of irrigation. Aerification performed on September 20, 2016, with 5/8 in. hollow tines on 2x2-in. centers. Young, Turfgrass Environmental Research Inc., 2016. Divanem helps turf recover more quickly from drought. Treatments applied five times on a 14-day interval prior to initiating drought stress. 37.5 and 75 gai/ha of abamectin is equivalent to 6.1 and 12.2 fl. oz./A of Divanem. Young, Turfgrass Environmental Research Inc., 2016. 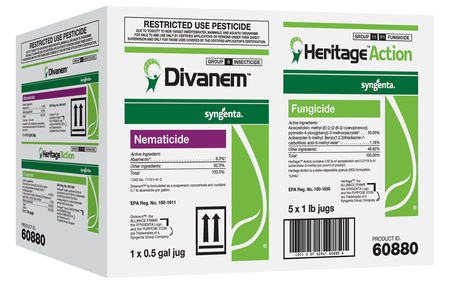 Divanem provides broad-spectrum control of nematode activity. Divanem applied to bermudagrass four times on 14-day interval. Data collected 12-25 days after fourth application. Crow and Syngenta, University of Florida and Syngenta Vero Beach Research Center, 2016. 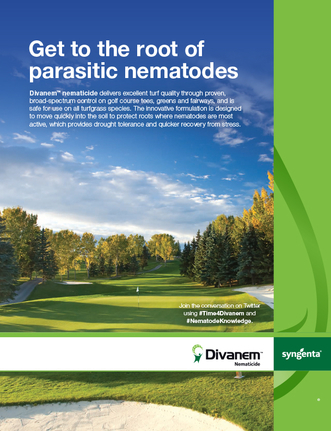 Divanem helps control parasitic nematode populations to reduce root damage. Samples collected October 25, 2016. Divanem and a wetting agent (48 fl. oz./A) applied on August 23, 2016, and September 21, 2016. Applications watered-in immediately with 0.2 in. of irrigation. Young, Ft. Lauderdale Country Club, 2016. The first step to defending turf from nematodes is #NematodeKnowledge. Visit the Nematode Knowledge page to learn more about how infestations impact turfgrass, how to identify nematodes through regular soil sampling and solutions for nematode control. Learn how Divanem delivers excellent turf quality through proven, broad-spectrum control on golf course tees, greens and fairways. 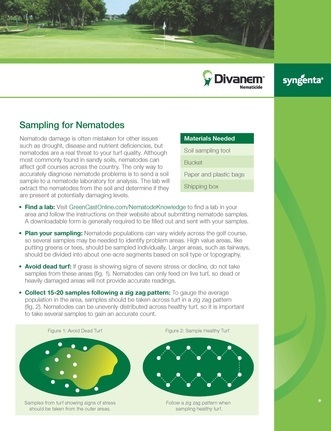 Review proper nematode sampling methods and find out how you can find a local lab to test them. Divanem is a Restricted Use Pesticide. ActionTM, Divanem®, GreenCast®, Heritage® ,Posterity® ,Velista® and the Syngenta logo are trademarks of a Syngenta Group Company. All other trademarks are the property of their respective owners.